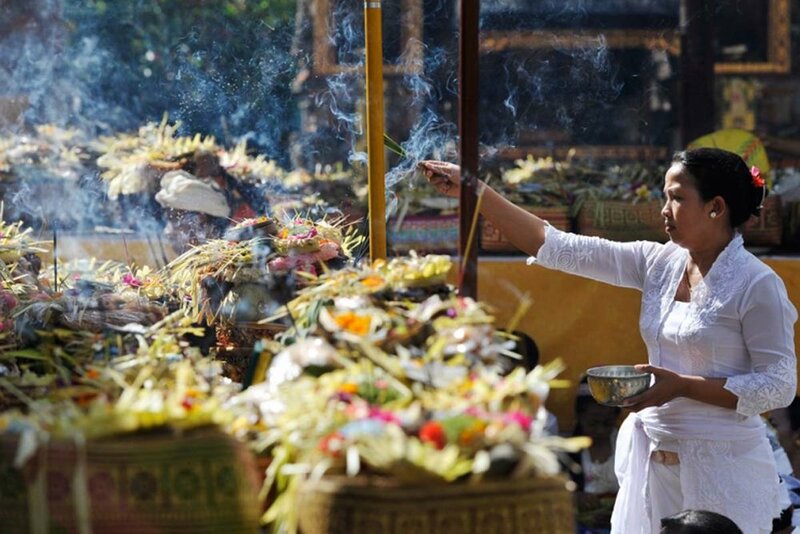 Melasti is a Hindu Balinese purification ceremony and ritual. It is observed by Hindus in Indonesia, especially in Bali. Melasti was meant as the ritual to cleanse the world from all the filth of sin and bad karma, through the symbolic act of acquiring the Tirta Amerta, "the water of life". In addition to performing prayers, during Melasti ceremony, all of sacred objects which belongs to a temple, such as pralingga or pratima of Lord Ida Sanghyang Widi Wasa, and all of sacred equipments, are being cleansed and purified. The Melasti processions take place approximately three days prior to the Çaka New Year, when pilgrims take heirlooms in long walks from temples towards the coastlines where purification rites take place. 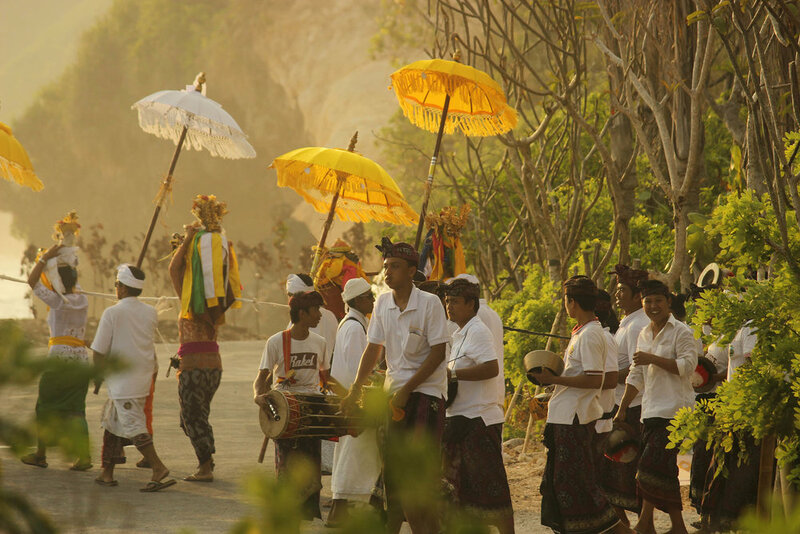 Parasols, banners and small effigies paraded along the horizon make for a stunning and only-in-Bali scene.